In an inexplicable worldwide event, forty-seven extraordinary children were spontaneously born by women who'd previously shown no signs of pregnancy. Millionaire inventor Reginald Hargreeves adopted seven of the children; when asked why, his only explanation was, "To save the world. 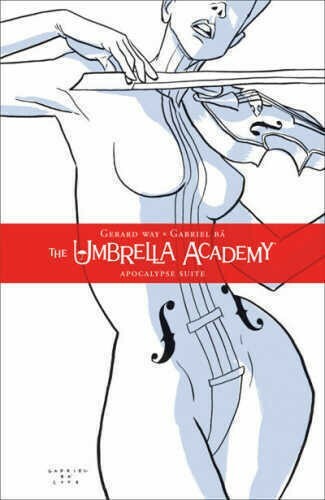 "These seven children form The Umbrella Academy, a dysfunctional family of superheroes with bizarre powers. Their first adventure at the age of ten pits them against an erratic and deadly Eiffel Tower, piloted by the fearsome zombie-robot Gustave Eiffel. Nearly a decade later, the team disbands, but when Hargreeves unexpectedly dies, these disgruntled siblings reunite just in time to save the world once again.